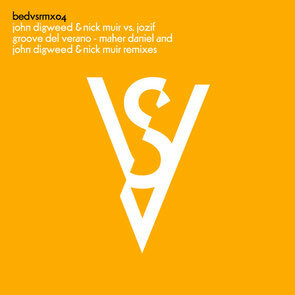 Out now, Bedrock Records presents two brand new edits of John Digweed & Nick Muir’s collaboration with Jozif, possibly one of the standout tracks from the original 2013 'Versus’ album, entitled ‘Groove Del Verano’. Following on from three remixes released back in 2014, that saw the likes of Fairmont, Extended Play, and King Unique all imprint their own individual styles on the tracks ‘Gigawave’, ‘Morphism’, and ‘Dawnbreaker’, these two new remixes of ‘Groove Del Verano’ once again revitalise the ‘Versus’ record. The first instalment comes from John and Nick themselves as they go back to the drawing board with ‘Groove Del Verano’. With relaxed arpeggiated patterns, atmospheric pads and a growling bass, the duo transforms their original track into an immersive brooding number that intertwines grinding beats with ethereal melody. Next up, ‘All Day I Dream’ and Bedrock regular Maher Daniel weighs in with his signature percussive soundscapes. Staying on one hand truer to the original, that compliment his own melodic patterns.